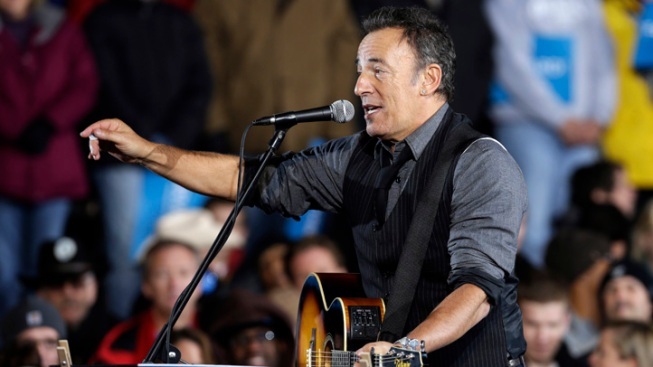 Bruce Springsteen will headline the NCAA March Madness Music Festival next month in Dallas. Springsteen and the E Street Band will close the free, three-day festival on April 6 at Reunion Park, the downtown lot where the NCAA Final Four was played in 1986. Pop-rock trio fun. will perform ahead of the Boss. Jason Aldean will kick off the festival on April 4. Fellow country star Tim McGraw and the Killers take the stage on April 5. College basketball's Division I semifinal and championship games will be played at the Dallas Cowboys' massive stadium in Arlington.